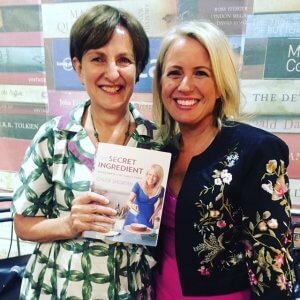 Chloe Shorten, author of Take Heart: A Story for Modern Stepfamilies, has recently released her first cookbook, The Secret Ingredient. A cookbook unlike any other, Chloe shares how eating together as a family can offer more than just a meal. It can nourish relationships within the family and nurture your children. 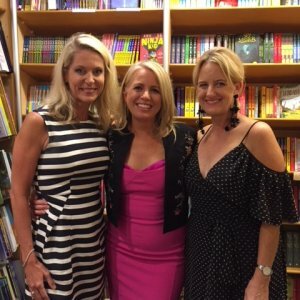 The book was launched at Riverbend Books, Bulimba on Monday 16 April. 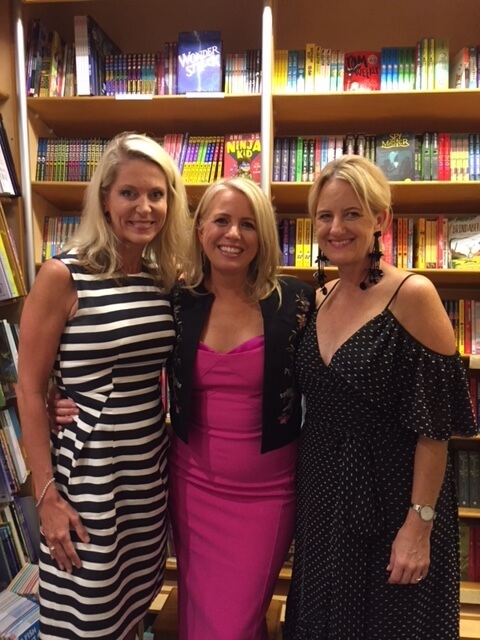 Here, Suzy Wilson, owner of Riverbend books joined Chloe in conversation. The Secret Ingredient reveals ways to encourage the connections made at the family table. Chloe shares her tried and true recipes from family, friends, and neighbours across Australia like her mother, Dame Quentin Bryce’s popular lasagna, icon Wendy McCarthy’s perfect roast chicken and a chocolate cake so divine that it has been served in restaurants. “When I was doing research for my book on Stepfamilies, I discovered a lot of evidence backing up what every parent instinctively knows: sitting down for regular meals together has huge benefits for kids, everything from their emotional well-being to their academic performance,” she said. 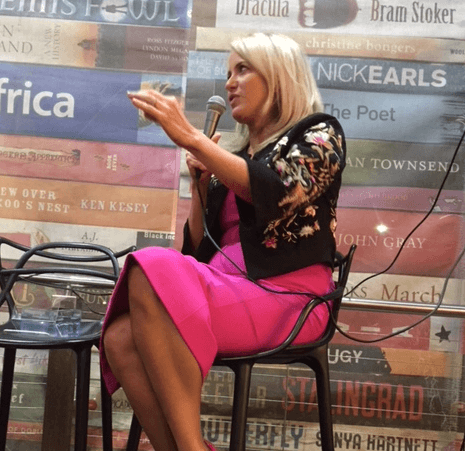 Chloe Shorten grew up in a family of five children and two working parents that valued regularly gathering for meals. 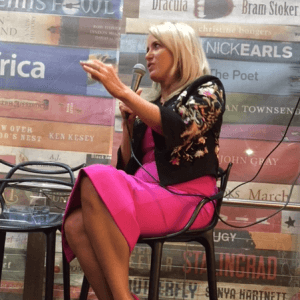 Now as a parent of three and wife of Bill Shorten, the federal Labor leader, she relishes bringing her family together for everyday meals, feasts and celebrations. “Unfortunately, in the busy lives of modern Australia, where both parents often work long hours, family meals are becoming less common. As the mother of two teenagers, a seven-year-old and with a husband who travels a lot, I wrote The Secret Ingredient to share some of the evidence and to pass on experiences and recipes from my family and friends that might help more of us sit down together, more often” she said. The Secret Ingredient invites readers to bring the remarkable power of the family meal into homes. Readers also enjoyed our story about Gail Kelly.